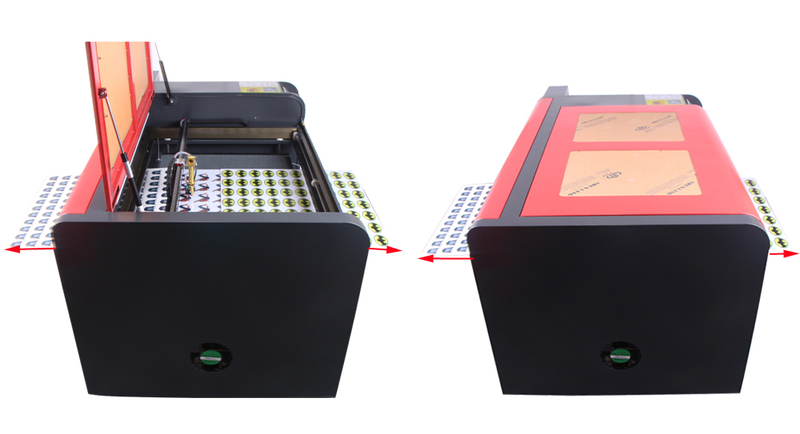 Reci laser engraving and cutting machine system is equipped with CO2 laser tube, that can be used for marble, ceramics, glass, wood, plastic, acryl, plexi glass, crystal, leather, rubber, marble, ceramics, glass and more. 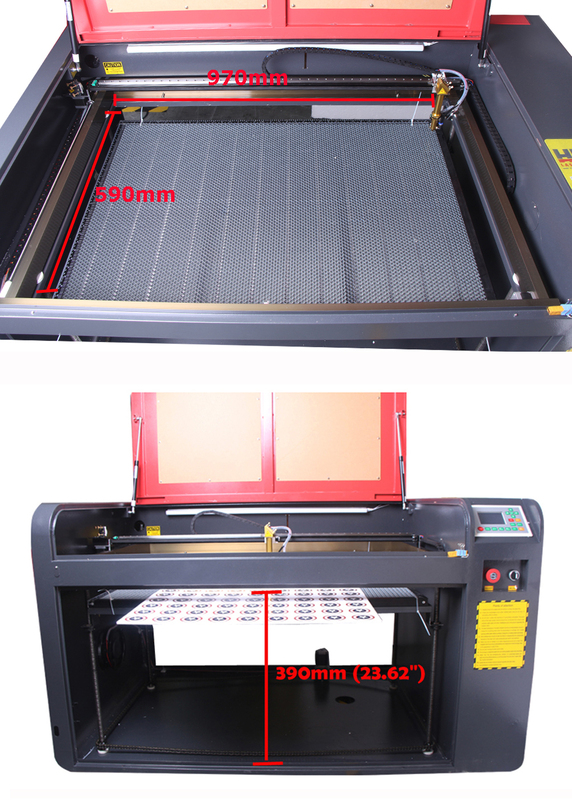 The laser cutter can be used in many industrial industries and institutions, and with double side open door, the machine can accomondate larger materials. disk drive program, multiple ways gerneral/dedicated IO control. Co2 laser tub,leads the world.Better performance,more stability,higher efficiency. It's service lift is 10000 hours. It has anti-fake label and the only product serial number. 1) Auto focus and motorised up/down worketable devices make,the laser engrave machine focusing more convenience. materials,and the use of space becomes larger. speed demand high for buyer. 6. This machine use CW 5000 chiller,not cw 3000 chiller or water pump. 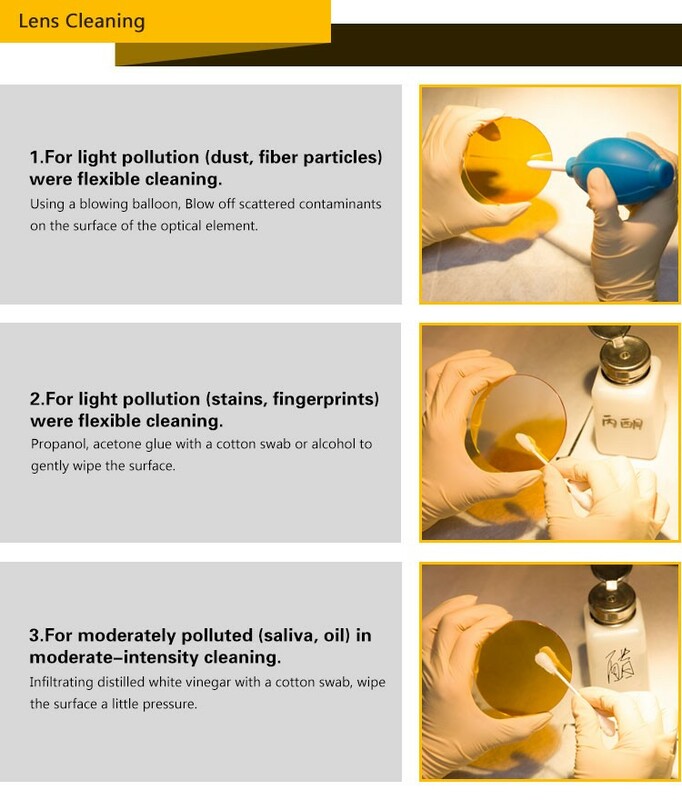 better protection of laser tube and machine. It will be a fine smoke exhaust effect. 8. 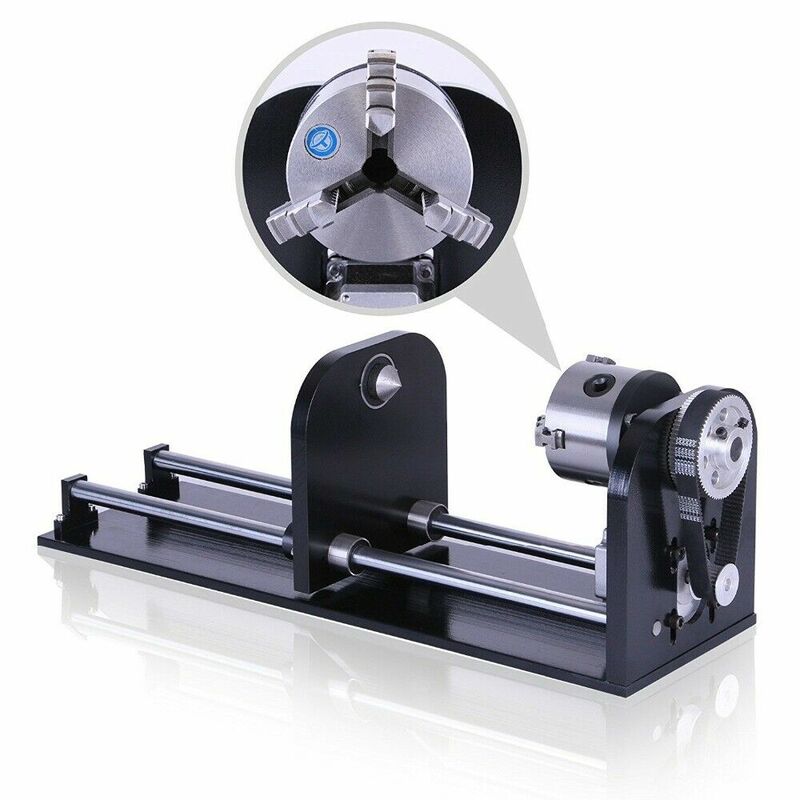 This machine comes with 80mm rotary axis. A. Yes, even on the same Job, you can do setting with different colour in the software.and it can work on same time. A. Unfortunately we cannot confirm about this, it is about 0-7200 hours. A. Free tech support for the whole life of the machine, and 24 hours telephone support. Camera of eBay message support or other online when you need.